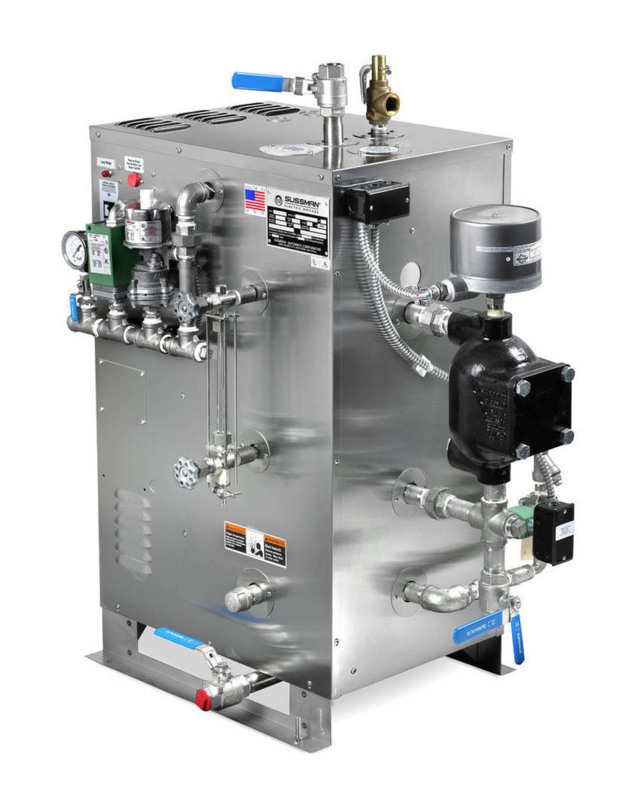 The Sussman Boilers are the highest quality electric steam and hot water boilers for industrial, commercial, and specialized applications. 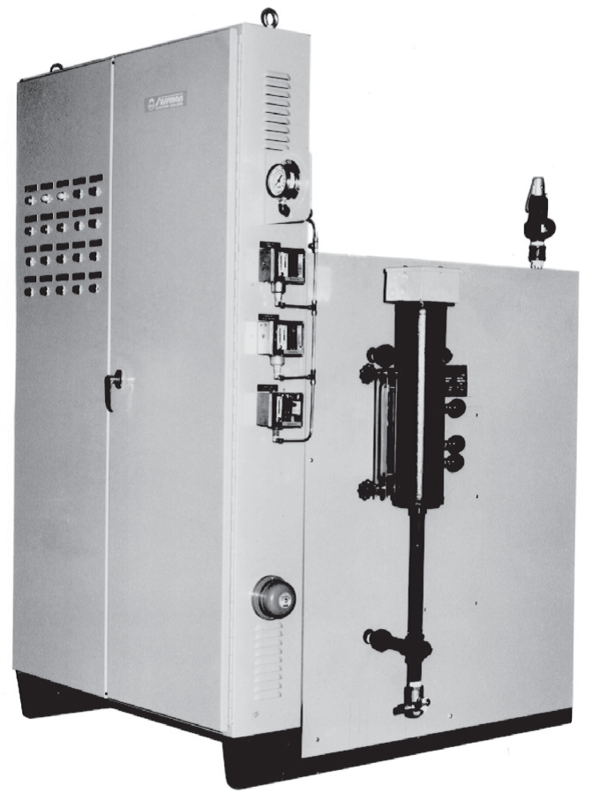 For over 50 years, Sussman Electric Boilers have been filling stem and hot water requirements for industrial, commercial, and specialized uses. 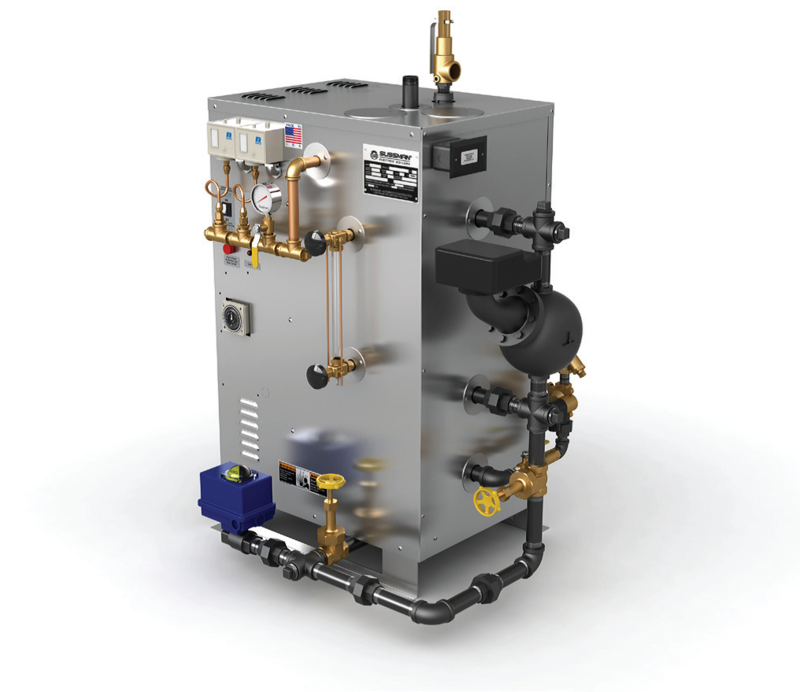 Outputs from Miniature steam generators rated 3KW-9PPH to outputs of 5000PPH steam and 9200MBH hot water, up to 2000KW. Built to AMSE Boiler Codes for Carbon and Stainless steel construction. Each boiler is fully efficient, produces no on-site products of combustion and is factory-tested, ready for use. Suitable for applications requiring efficient, high quality saturated steam, including laboratories, hospitals, industrial plants, pilot plants, breweries, food and chemical processing applications. 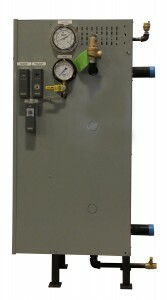 Each unit is complete with automatic features, including pressure and liquid level controllers, ASME Code pressure vessel and safety valve and are fully tested under power. 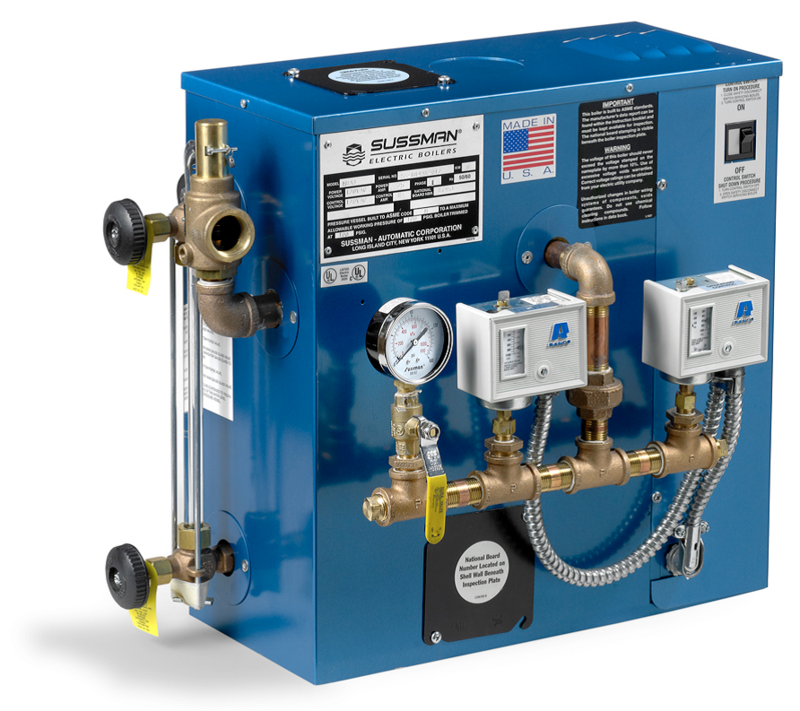 Small size, small capacity Sussman MBA Electric Steam Generators are perfect for industries that require efficient, high quality steam in laboratories, hospitals, computer rooms, pilot plants and for small intermittent, low-steam consuming loads. These generators are perfect for standby operations in off seasons or when a larger boiler is shut down or unavailable. 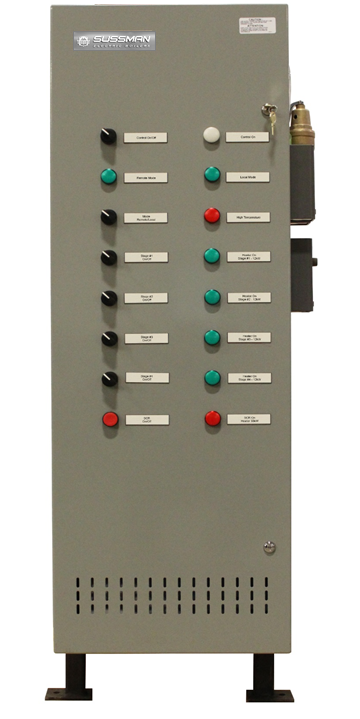 The automatic electronic controller meets all UL and ASME requirements. A main waterline pressure 10 psig greater that the operating pressure of the steam generator is required for automatic water feeding. Pharmaceutical, Chemical Process, Sterilization, Food Processing, Cosmetics, Autoclaves, and other clean steam uses. Series 304 stainless steel pressure vessel. Series 316/316L pressure vessel available – consult factory. NOTE: Water with a minimum of 1 mega ohm-cm specific resistivity must be used for proper & safe boiler operation. Dyestuffs, Food Processing, Jacketed Vessels for Processes, Pipe Tracing, Viscous Material, Fuel Oil Line Heating, Anti-Freeze Protection, or Comfort Heating & Humidification.